This is an easy, simple and delicious cake recipe that my mother’s dear friend Rosie shared with us years ago. Since then, its become a classic with our family. The soft sweet apples, dense smooth cake, and crunchy top are a great combination. Preheat the oven to 350°F. 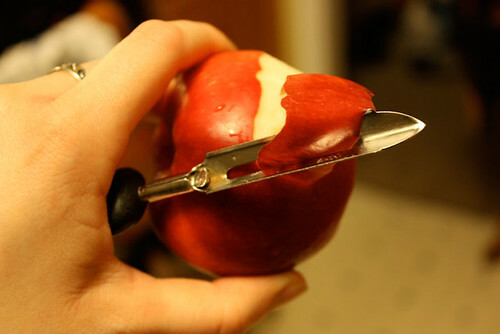 Core and peel the apples. 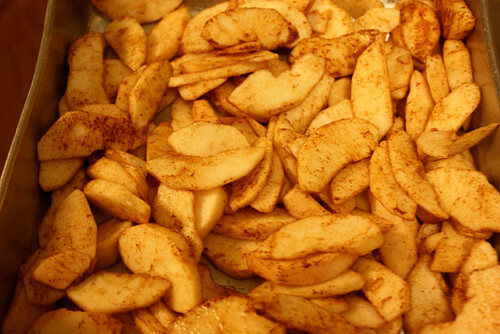 Slice the apples into wedges into a large bowl. 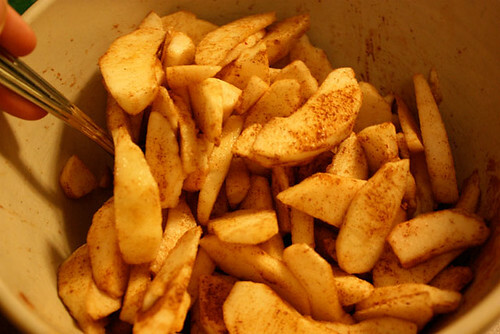 Toss with brown sugar and cinnamon. 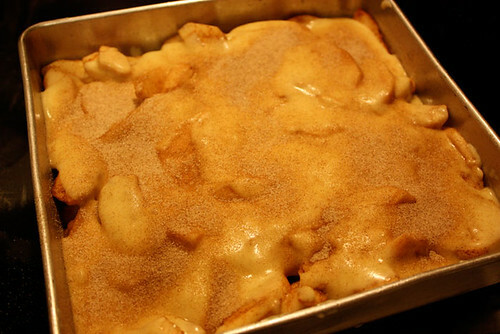 Place apples into a greased 8" square pan. 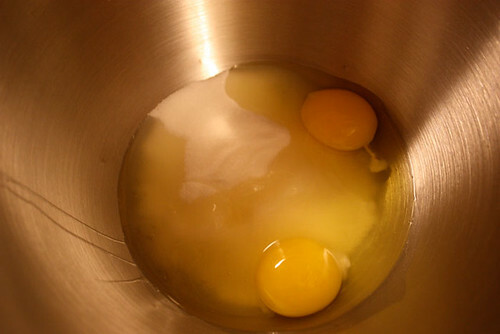 In a separate large bowl, beat eggs and sugar. Add oil and mix. 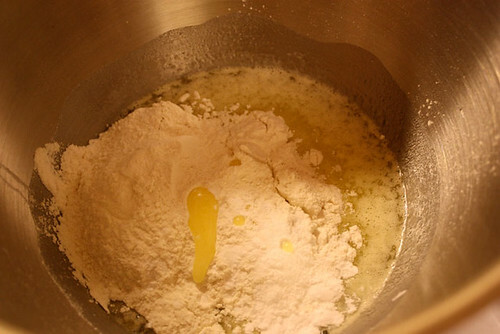 Add flour, baking powder and cinnamon, and mix to combine. 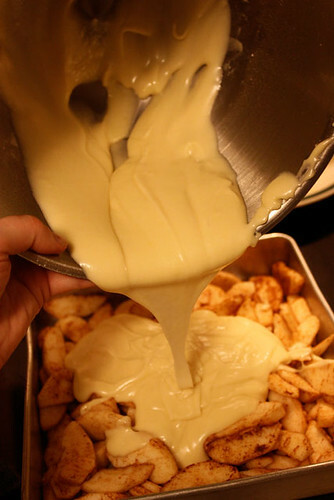 Pour the batter over apples, and try to move the bowl as you pour, to get it all around the pan. Bake at 45 minutes, until the top is golden brown. Serve alone, or with a scoop of vanilla ice cream. Preheat the oven to 350°F. Core and peel the apples. 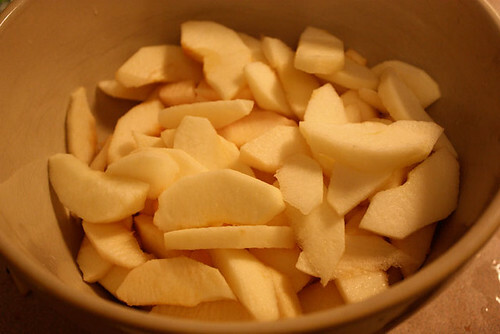 Slice the apples into wedges into a large bowl. 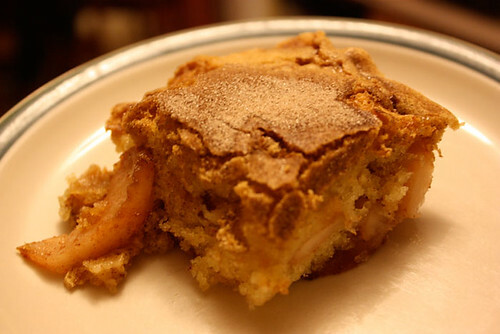 Toss with 1 tsp brown sugar and 1 tsp cinnamon. 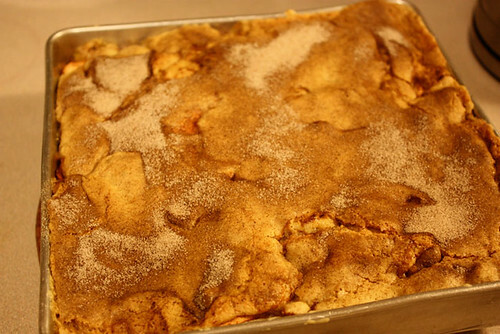 Place apples into a greased 8″ square pan. Just look at that cinnamony goodness, oh yum. Pour the batter over apples, and try to move the bowl as you pour, to get it all around. If you want the crust to have a nice cinnamon sugar taste, then take the last 1/2 tsp sugar and 1/2 tsp cinnamon and sprinkle over the top of the batter. And there you have it! A simple cake that you can easily serve alone, or with a scoop of vanilla ice cream. Enjoy! LOVE the bells idea – very nice find!! Just stopping by to say Happy Tuesday, SITStah!! Come on by, stay for a while and leave a comment or two…I’d love to get to know you!